Both EPS and GEFS 00z and 06z near identical at T360 w/r/t 10hPa temps and heights, suggesting zonal winds becoming very light and close to technical warming. Warming signal at 50hPa working its way up. I asked Ian f in a tweet what glosea was seeing up there - past few winters it has offered best guidance. No reply as yet! Ensembles are starting to swing away to a less cold solution. Well that’ll teach me to open my big mouth. I’m pretty shocked at that! It's the same data as the clusters, which is posted here all the time. And it's Maue charts, which are reproduced all over the place. I think I have said this before but given that Maue charts are free, they can be reproduced anyway. I doubt the Icelandic data will be stopped, because I'd doubt many people use it anyway. The consequence of this is that the block is put under more pressure and the high doesn't really build over Greenland.  Unfortunately it is a feature on all runs now so it's going to have a role. For things to improve there we need the build of pressure over Greenland to be stronger then forecast at T96. Alternatively a link with the arctic high, a later attempt at Greenland ridging or a build of heights over Scandi could prolong the colder air. All still possibilities at this point despite added short term complications. Though I can understand why some are a bit disappointed. SNOWCON 3! Time to put the teddies on standby? ECM clusters are still good, variations of the theme but the overall theme remains blocked & cold across the UK. UKMO at 144 is good, following frames would probably show the high building Northwards thanks to the Atlantic/Arctic high link up. GLOSEA according to Ian F is predicting a blocked pattern right through to mid-December combined with the EC ensembles I think the Met are expecting things to remain blocked. The GFS 00z was good, very blocked and cold similar to the ECM/UKMO, it seems the 06z has gone off on one, though it can't be completely discounted because the GFS Ensembles do have some support for it, and certainly see a less cold trend into the beginning of December now where previously it showed cold. But, if the GFS op is struggling with the shortwave energy (as per usual) then I'm not sure how much faith can be put into the lower resolution ensembles. Nothing to worry about just yet, but we don't want to see the UKMO/ECM changing with the 12z runs, we're talking changes at just 72hrs away, there's very little wiggle room now. 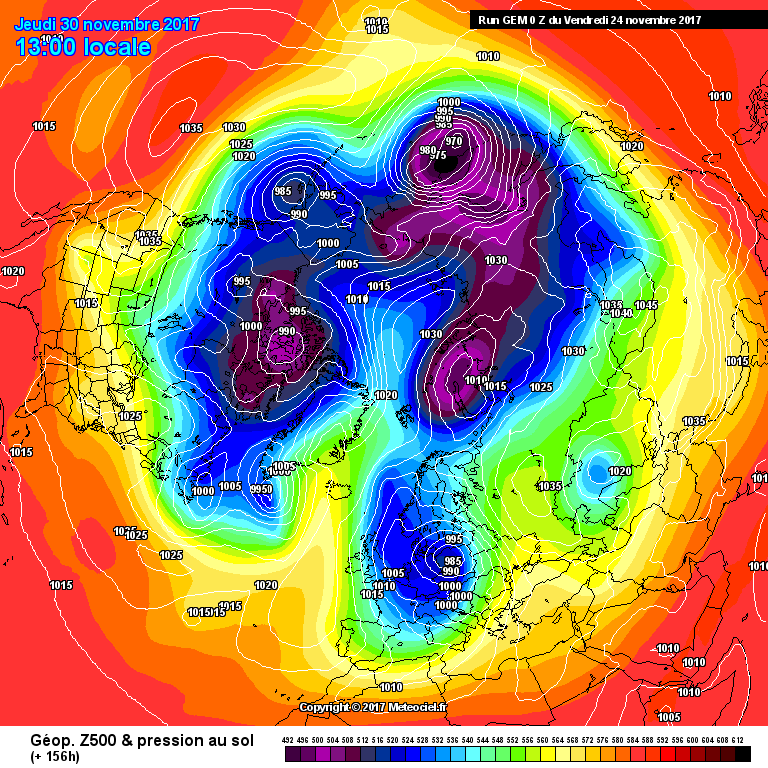 Either the GFS will backtrack along with it's ensemble suite, or the UKMO/ECM will backtrack. GEM 00z was also very good. So, everything VS the GFS. The clusters are very specific to the n Atlantic so less of a concern to Ecmwf. Lets not be naive here - if someone is paying a lot of money for data and they see it being reproduced for free use then eventually they are going to complain. Maue has his own agenda at the moment after his split with weatherbell. The more you poke something, the more you risk a response. And in keeping with the Ec ens for London the meto update is an upgrade....rest my beating heart. Edited November 24, 2017 by Frosty. My own perception of the start to winter. (like any other season in terms of weather preference), largely differs from most because I am far more interested and curious how the signals play out (either way) and not how cold and snowy it might get. So I will have to be forgiven for a different tone that frankly intends to neither optimistic or pessimistic, but simply hopeful objective how I see it. So, for what it may be worth: Sorry no time for links. The Global Wind Oscillation (which represents a plot representation of global wind flows as referred to above) in reflection of all this, has progressed from quite an amplitude Phase 8 and is set to hover around Phase 2 for a while. In terms of the stratospheric feedbacks though, the question mark in my mind is the extended hints of the Pacific pattern starting to show the first signs that La Nina is going to tighten its control from upstream with the building of the Alaskan ridge. On that basis a highly anticipated two week stratospheric forecast is just that, and on the basis of potential upstream changes that ultimately spell return of the jet, it cannot be wholly assumed it will automatically favour this side of the pole as the Pacific pattern starts to take control. So I don't personally agree with some of the views being expressed that this is a "good thing" for downstream prospects in terms of sustaining a cold weather pattern beyond the early to (possibly?) mid December period. Its a typical La Nina development that often happens as wavelength cycles occur with the change of month and season and has the effect of increasing Canadian cold and re-booting the energy into the downstream polar jet. Such inications are minority model solutions at the moment that show increased upstream flow in FI, but I think its not a case that they are automatically wrong, simply maybe on the progressive side. On that basis I'm not sure that any equal assumption (however valid) can be made that the present amplified pattern has a sustainable feedback. Or at least not sustainable without a further eastwards moving MJO catalyst, to engineer further tropics>extra tropical rossby wave train and set up further downstream amplification via +ve MT and then, just as importantly in turn externally pressurise the polar stratosphere. The importance of the Aleutian Low and Siberian High moving forward in terms of cold air feedbacks have been identified a few times on here as a means to sustain a cold pattern into winter proper. Any Pacific heights, as a key part of an arrangement of circumglobal La Nina mid latitude ridges and polar jet flow, are counter intuitive to this. The stratospheric pathway can certainly override the tropospheric winter La Nina effects, but its going to require tropical forcing to play ball and come into play just at a time when the upstream pattern shows signs of coming back to life once more. Strengthening La Nina and changing seasonal wave length changes are going to become increasingly resistant to this the further we head towards January and especially beyond. There is no certainty either way, and whilst the pattern could sustain in a few ways yet - the "quick fix" I spoke of in the MOD a couple of weeks could easily still be just that. At the moment I see things much as I would at the end of a warm La Nina Spring, that so often does not transfer to a warm La Nina summer. That said, there is more to encourage a cold pattern, certainly to start, beyond what the weak La Nina went on to deliver last year - but I don't see the straightforward path to sustained cold nirvana many others see. Huge respect to @Tamara above although I do feel like Marlin being given instructions by Squirt, on the exit strategy of the EAC! This is a point I've thought a lot about. However, the weather.us site (I think this is the source of the chart BlueArmy refers to) seems to have every little last bit of ECM data if you search around hard enough, and it is hard to see where the licence has come from to do this. I have kind of made a conscious decision not to post images from this site except on the very odd occasion (which has been an exercise in self-control at the moment it is very tempting to post several ensemble member charts with copious amounts of snow for differing parts of the UK!!) because I too am worried about losing what we have. It's great fun to have it, I don't expect it to last forever but I'd like not to be reason why we lose access! So I will continue posting commentaries from weather.us but perhaps I won't even post any charts from it anymore, for these reasons. It's all easy enough for anyone to check! @Snowy Hibbo just seen your post too, well I am surprised to hear he was given permission to publish his charts. Why would anyone pay them for access anymore? I wonder what Meteociel would make of that? What I do see is more wintry potential at this time of year compared to recent years with at least some cold outbreaks of polar / arctic maritime and perhaps continental arctic too with more in the way of cold air than mild..this coldie finds the latest models / update from Exeter very encouraging compared to the usual relentless mild dross the uk gets! In a way, I would not mind a toppling high in respect it could bring some proper winter weather in the form of fog and frost aslong as it topples quickly and remains firm over the UK. As it happens, the models have favoured more on the placement of the Svalbard shortwave so more colder air does threaten to get pulled further Southwards but another spoiler is the the reluctance by the ECM and GFS to fully clear the trigger low that will cross the UK during Mondayand if this happens, the colder air struggles to make it to eastern areas and its likely to be cloudier and wet in eastern areas rather bright, colder and more showery weather like the UKMO shows. What I find amazing is they (weather.us) openly state on twitter "free ECMWF" charts and link directly to the website where all the data is. Surely ECMWF HQ aren't naive enough to not know that this a a global Christmas present? I won't post any of the charts for same reasons. Personally I hope the free access lasts. If it is only allowed for the US, it wouldn't be to difficult for them to make it hard for anyone outside the US to access all areas, much like the BBC if you are abroad. To close the discussion on weather.us, its possible that this is a ‘free period’ which will expire at some point soon, after which it will go behind a paywall. Whilst the data is currently freely available I’m surprised that dr maue has said its freely available for reproduction. 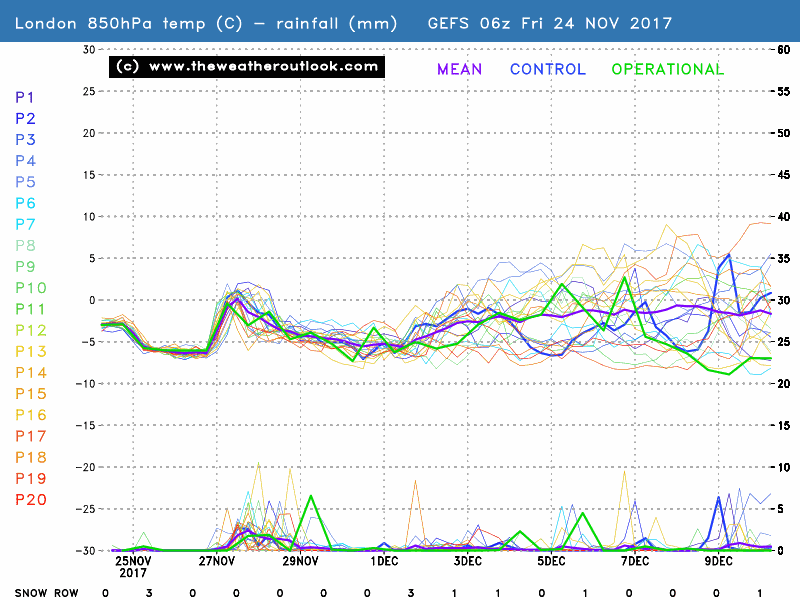 Absolutely no sign of a return to anything mild on the GEFS 6z mean which shows a cold and showery N'ly airflow for most of next week with wintry showers and frosty nights followed by high pressure becoming more influential from the west with plenty of crisp bright chilly days followed by overnight frosts and probable fog as winds become generally lighter..there is the possibility that high pressure will stay out to the west in mid atlantic ridging north to greenland with lower heights persisting to the east / northeast with reloads of polar / arctic air.. .